Spiroll attended the 2018 annual conference of IPHA (International Prestressed Hollowcore Association) in Helsinki, Finland from May 24 to 27. Delegates from 21 countries represented 37 member companies. 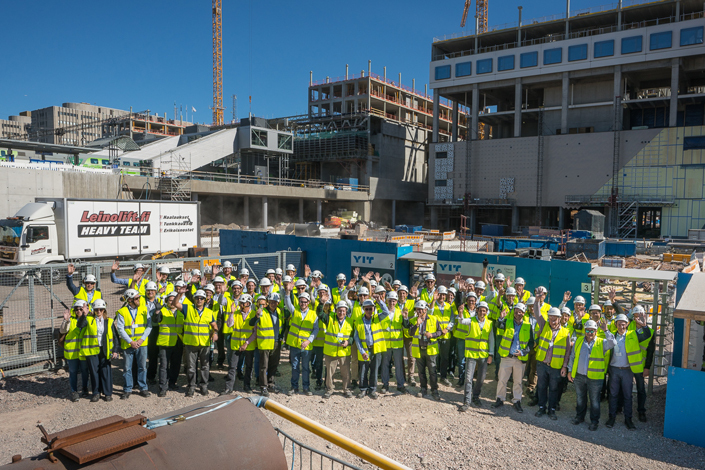 The conference included a tour of Peikko’s factory at Lahti as well as a visit to to the Tripla construction site. This is a 183.000 m2 urban development which includes a shopping mall, car park, public transportation hub, housing, a hotel and offices, and will be opened in phases between 2019 and 2020. A number of speakers gave presentations to the 69 delegates in attendance on a variety of interesting topics including the challenges facing concrete and its possibilities in the future and innovation within the precast industry. Individual IPHA members also gave corporate presentations. The event was hosted by Peikko Group, Elematic and Trimble Solutions.